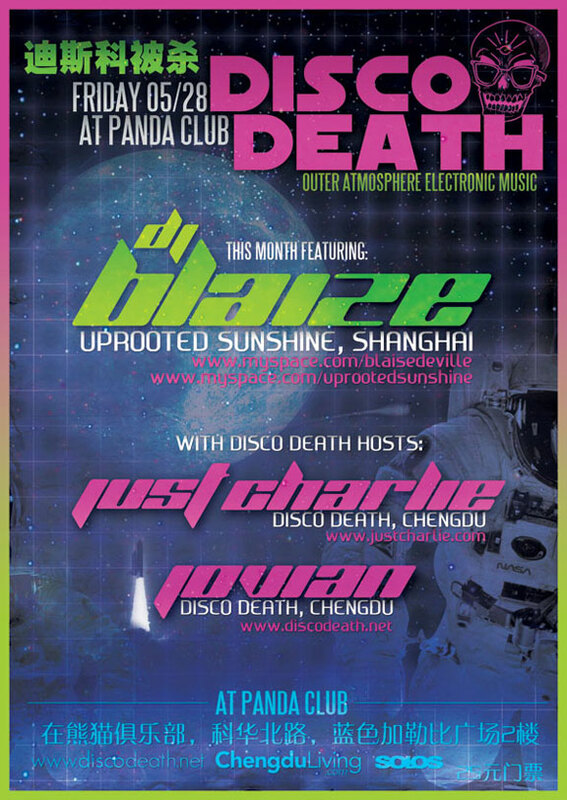 Tomorrow night, for the fifth month in a row, Disco Death in Chengdu will host a member of China’s performing elite: DJ Blaise. I wanted to take the opportunity to write a few words about the event (if you’re not familiar with Disco Death) and why I’m excited about this one in particular, which takes place tomorrow night at Panda Club. 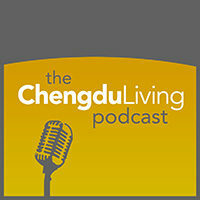 Read a few articles on Chengdu Living and you’ll see that despite controversy over a number of recent topics (hotpot oil, spy networks, and Google), we have a strong affinity to Chengdu. We’re attracted to the rich culture, the people that make up the city and the exciting things that are happening here. In our opinion, it’s a great place to be. One thing that almost all of us miss though, is the music and performance culture of our home countries. As a musician and DJ of more than ten years, I miss the DJ and music culture of the United States, under which I learned and was nurtured to create my own contributions. Unfortunately, Chengdu entirely lacks such a DJ culture, but in its place stands a bevvy of dance clubs which cater to a cast of China’s new-rich looking for a place to flash their yuan. We seek to change that, by bringing world class DJ’s to Chengdu on a regular basis. And that brings us to this month, April. Tomorrow night, Friday the 28th of April, DJ Blaise is playing at Disco Death. Hailing from Switzerland, DJ Blaise is well known among China’s DJ elite for his role in one of the country’s biggest parties: Uprooted Sunshine. 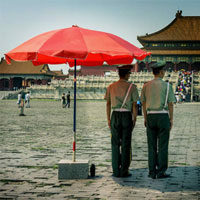 If you haven’t heard of it, it takes place at the most notorious club venue in all of China: Shelter. 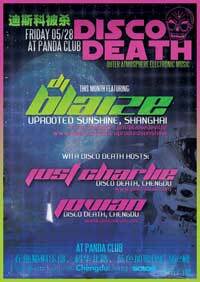 Aside from being someone people in Beijing, Shanghai and Kunming have been telling me about, DJ Blaise is the first Disco Death guest who I haven’t seen perform before. I’m very much looking forward to it. Join us tomorrow for a chance to see Blaise in Chengdu for the first time. Opening for him are Jovian and myself.